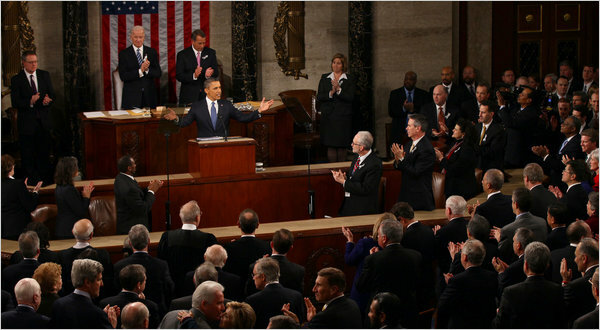 The focus on innovation in Obama's State of the Union marks a new high point for clean energy R&D advocacy. In the coming months, politicians and policy makers will likely align around proposals to encourage everything from basic research to putting solar panels on our roofs and hybrids in our garages. It is easy, in such an environment, to forget the barren stretch of time between the oil crisis induced renewable energy craze of the 1970s and the present day. During this time, funding dried up, programs were cut, and renewable energy research and deployment was forced to go abroad or wither in an apathetic United States. Politicians, policymakers and enthusiasts talk about ways that new programs will help America race past its competitors as it did in the space race, but there is not enough attention on how the old programs died and what was the full impact of their disappearance. There are important lessons to learn, the biggest of which is that inconsistency in policy can be crippling to research. While proponents of clean and renewable technologies should welcome the renewed interest and funding, it is important that they learn from the past and focus on creating a support system that is not only robust but also provides some assurances of long-term commitments. Most of the renewable energy technologies today owe their existence to research done in the United States over the last century. Many of the key technologies in modern windmills, including the variable speed drives and special composites used to make the blades, were developed here. Domestic research in semiconductors and other materials in American universities and national and private labs led to the birth of photovoltaics. This research was driven by a select group of dedicated programs. Prof. William Paul's group at Harvard, Prof. Hellmut Fritzsche's group at U. Chicago, and Prof. Richard Bube's group at Stanford were all examples of such labs that contributed important discoveries to photovoltaic technology. Given the resources to target renewable energy research, they were able to attract the brightest minds and give these scientists the experience in the field required to make them true experts. But scientists need paychecks, and when programs in photovoltaics lost their funding, the individuals in these labs were forced to respecialize. Not only did their work get put on hold, but they were not able to attract and train the next generation of scientists to continue their legacy. As Paul, Fritzsche and Bube near retirement, some of their combined expertise in the field of photovoltaics will undoubtedly be lost. Research teams of this caliber take time to create. Throwing a billion dollars at renewable energy research tomorrow will generate a mob of scientists willing to delve into the topic, but it might take years before they gain the level of collective expertise established in some of these labs. Continuity is essential to maintain a core of scientists that are true experts in the field and can lead new research initiatives. Even low but consistent levels of funding allow such cores to survive. An excess of funding might be wasteful if it goes to groups not capable of such high level work. As America debates renewable energy policy, it should remember that research cannot thrive in a fickle funding environment driven by the mood swings of congress. In the last decade, America began to understand the massive research initiative it will require to maintain international competitiveness, reduce our dependence on fossil fuels and restabilize the environment. The original America COMPETES Act, passed under President Bush in 2007, was a strong first step toward creating a well-trained group of American scientists to lead this initiative. However, momentum has only just begun to build and if funding is cut then much of the progress made over the last few years will be wasted. Thankfully, the America COMPETES Re-authorization act was passed in the final days of the lame duck congress and finally signed into law. However, the appropriations committees of the next Congress will determine the actual amount of funding to be allotted for research initiatives. COMPETES was already reduced from $84 to $43 billion in order to pass the Senate, and the final amount appropriated could be much lower. This is particularly true with a new wave of Senators and Congressmen coming to Washington to cut spending. 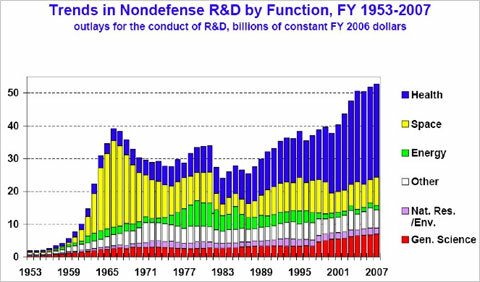 If America wants to see the volume and caliber of research that brought us these technologies in the first place (and propelled us past the Soviet Union during the Sputnik crisis), we must allow these research groups to form and collective expertise in these fields to build. While our support for research yields exciting discoveries today, we are also preparing the ground for the greater discoveries of tomorrow. We must take care not to falter in our commitment to these groups as we did before or we will forego the greatest rewards of their work. Tucker Willsie is a Contributor in AEL’s New Energy Leaders Project and his work will be regularly featured on the website. The views expressed are those of the author and do not necessarily reflect the position of AEL. 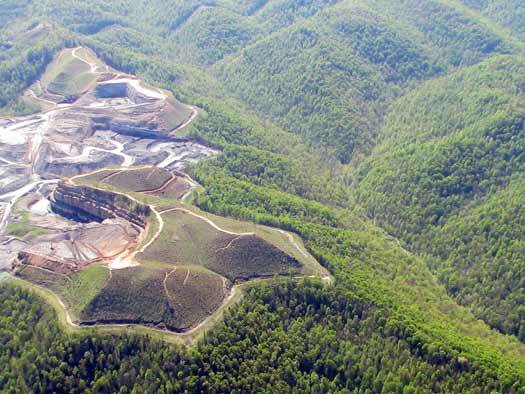 EPA announced Thursday that they will be vetoing the largest mountaintop removal permit in WV history. Appalachian Voices is thrilled to hear that EPA will be vetoing this permit in order to protect human health and aquatic ecosystems in central Appalachia. EPA's own science has shown that mountaintop removal has permanent negative impacts on Appalachia, and we hope they will continue to stand strong in stopping mine permits that will have a negative impact on the well-being of the central Appalachian land and people. The bottom line is that we don't need to poison our streams and our communities in order to mine coal in the central Appalachian region. Three cheers to EPA for doing what is right, even though they faced tremendous political pressure to let this harmful and toxic mine just slide by. Congress can make these protections permanent, while adding stability and clarity to the process by passing popular bipartisan legislation such as the Clean Water Protection Act (House) and Appalachia Restoration Act (Senate). Recently, 50 members of Congress sent a letter to EPA thanking them for doing the right thing by taking steps to end mountaintop removal. Congressman Rahall (D-WV) also said that legislation to end the practice had more than 400 votes in the House, but that he was the only person blocking the bill. Its time that Representatives like Congressman Rahall and Senator Manchin start protecting their constituents and stop wasting their time and political capital defending a destructive, toxic, and unnecessary practice like mountaintop removal. Its time that our elected officials start thinking less about appeasing the coal lobby and more about protecting Appalachian citizens who live in communities where coal is mined. It is also a reality that the practice of mountaintop removal mining has a diminishing constituency in Washington. It is not a widespread method of mining, with its use confined to only three states. Most members of Congress, like most Americans, oppose the practice, and we may not yet fully understand the effects of mountaintop removal mining on the health of our citizens. Ken Ward has more at Coal Tattoo and Jeff Biggers has a beautiful piece at HuffPo called EPA Vetoes Largest Mountaintop Removal Permit: New Era of Civility in the Coalfields? . Congratulations to every single person who helped make this possible. According to a 2010 International Energy Agency report, Chinese energy consumption has doubled over the past decade, and will soar 75 percent by 2035, accounting for more than a third of total global consumption growth. To date, the largest portion of this demand has been met by burning coal, raising serious concerns about CO2 emissions and the battle against climate change, but China has also begun to aggressively invest in alternative energy. In light of this, The Energy Collective's latest webinar seeks to explore how China may rise to the challenge of meeting its rising energy demand while fighting climate change, and how those efforts will impact energy markets and technology in the rest of the world. Innovation: Will China will be able to move down the innovation learning curve and successfully design new technologies, or continue to manufacture Western-designed technologies? Is there evidence this is happening? Competition: Will China's policies and investments in alternative energy put on-par competition out of reach for the U.S., or is there hope the U.S. and EU will keep pace? Coal and Energy Demand: What role will coal inevitably continue to play to meet steep energy demand increase projections for China? Can Carbon Capture & Sequestration help limit increases in coal-generated emissions? Gardiner Hill is the Senior Advisor on CCS Technology, Regulations and Policy for BP Alternative Energy. He is responsible for developing strategies and advising on all matters related to carbon capture and storage across the portfolio of the BP group of companies. Hill has been involved heavily in the research and development of Enhanced Oil Recovery (EOR) and in 2000, Hill joined BP’s central Group Technology function and project managed the CO2 Capture Project, the first international joint industry scheme of its kind. Hill sits on the board of a range of associations and special projects including; Chairman for the Carbon Capture and Storage Industry Association, Chairman for the CO2 Carbon Capture Project, and Vice Chairman of the Zero Emissions Power Technology Platform in Europe. Jesse Jenkins is Director of Energy and Climate Policy at the Breakthrough Institute, and is one of the country's leading energy and climate policy analysts and advocates. Jesse has written for publications including the San Francisco Chronicle, Baltimore Sun, Yale Environment 360, Grist.org, and HuffingtonPost.com, and his published works on energy policy have been cited by many more. He is founder and chief editor of WattHead - Energy News and Commentary and a featured wr iter at the Energy Collective.